Hello! Thank you, thank you all so much. It is great to be back in San Francisco, a place that has a big big spot in my heart and to be able to speak with all of you this afternoon. Please be seated and you can jump up and down its been a wonderful but long day I hear. I want to thank Anne not just for her kind introduction but for exemplifying the kind of creative entrepreneurial leadership that she has demonstrated and that so many of you are also part of. I want to thank Alexandr Roddy for her leadership and all she’s done and to make this event such a success. But lets remember what brought all of us here for the 28th convening of this event. Back in the 1980s my friend Congresswoman Jackie Speier started bringing together groups of women for networking and professional development, for support. Now that might not seem radical at all today but at the time it was pretty revolutionary and Jackie Speier herself exemplifies a life of commitment and service. She has to be in Congress for votes but lets show our appreciation for her visionary leadership with a round of applause she can hear all the way back in D.C.
Because just look at what you represent. The Professional Businesswomen of California is now the largest women’s organization in the state which probably means its the biggest in the country — I don’t know that but it seems reasonable to assume if you’re the biggest in California. But your members are transforming the way we do things, the way we deliver healthcare. You’re running cities and Fortune 500 companies. You’re making Oscar-nominated films and leading in every industry from finance to fitness, empowering the next generation of women and girls and taking on some of the toughest problems that we face. That’s why I was thrilled that the theme for this year’s conference is “inclusion now” because that is spot on. And some days, I admit, it seems like it may be even more unfinished than we hoped. Because while we women have made strides in education and careers, there’s still a woeful lack of women in the upper reaches of science and technology, business and education, not to mention politics and government. Women’s representation in the current administration in Washington, for example, is the lowest its been in a generation. But even in a state like California, that is ahead of the curve in so many ways, the number of women serving in the state legislature is at a twenty year low. And women in the private sector, particularly women of color, still struggle for representation in the c-suite and boardroom. But I am here today to urge us not to grow tired, not to be discouraged and disappointed, not to throw up our hands because change isn’t happening fast enough. Or to even take a pass because we think we’ve done our part. We need more women at any table, on any conference call or email chain where decisions are made. And a big part of that is encouraging more women to run for office and pushing the private sector to do a lot better than it currently is. But even that’s not enough. We can’t stop there. We need to reset the table so women are no longer required to accept or adapt to discrimination or sexism at work. We need to think beyond corporate boardrooms, beyond corridors of companies or elected bodies, beyond our own lives and experiences to lift up women of all incomes, experiences and backgrounds in every corner of our country. And a crucial part of solving these problems is recognizing that as important as it is, corporate feminism is no substitute for inclusive concrete solutions that improve life for women everywhere. Because as challenging as it is to climb the career ladder, its even harder for women at the margins unable to get on or stay on even the lowest rung. And for too many women, especially low-wage workers, basic things, like a livable wage or a predictable work schedules or affordable childcare are still way out of reach. We know from decades of data that encouraging women’s full participation is both right and smart. This data comes not just from our own country but from across the world. When I was Secretary of State I made it part of my mission to try to educate governments that including women in the economy was not only good for them and their families but poverty went down and gross domestic product of the entire county went up. And companies with more women in upper management do achieve higher profits. Yet we also know, many of us from our own lives, that women still face barriers that hold us back. I meet talented women everywhere I go who are squeezing every minute out of their 24 hour day. They love their jobs but they can’t escape the nagging feeling that its a lot harder than it should be to get ahead. I bet just about everyone in this room has had the experience of saying something in a meeting that gets ignored. Ten, twenty minutes later a man says the same thing and everyone thinks its genius. And I think we should pool our respective reactions so that you have right at your fingertips exactly what to say. Nice thought. Little slow on the uptake but good idea. I mean, its not like I didn’t know all the nasty things they were saying about me. Some of them were actually quite creative, ones I hadn’t heard before. But you just have to keep going. And even when sexism and exclusion are out in the open, its sometimes hard to believe they could possibly be deliberate. Recently, photos have been making the rounds on social media showing groups of men in Washington making decisions about women’s health. Decisions to rip away coverage for pregnancy and maternity care, or limit access to reproductive healthcare around the globe. We shake our heads and think, how could they not have invited any women to the table? Well, a provocative opinion piece in the New York Times this week argues that it may not be an oversight at all but an intentional signal: don’t worry, the men are in charge of everything. My favorite sort of take on these pictures, maybe you saw it, was the one of dogs sitting around an oval table and the caption was discussing feline care, I liked that. But it is a cruel irony that stereotypes and bias run rampant even at companies that pride themselves as being forward thinking. More and more women have been sharing stories of their experiences in Silicon Valley. Stories of consistently being asked to take notes in meetings or get the coffee, of being undermined, interrupted and criticized in a way that never seems to happen to their male colleagues. Those may seem like small things, but over time they take a toll, don’t they? And for some women, the hostility is even more direct, like the Uber engineer who spoke out about her experiences with sexual harassment and spurred the company to publicly admit to addressing this problem. It is disheartening to hear women at the highest level of their profession say things are no better for the young women beginning their careers today. Women hold just a quarter of computing jobs in the U.S. and that number has gone down instead of up. Women are hired at lower numbers in the tech industry and leave at more than twice the rate men do. And for women of color, the situation is even worse. Beyond issues of bias and discrimination, the game is often still rigged against working women in major ways. What kind of message does it send the world that the United States is the advanced economy with no national paid family leave policy? And less than 15% of workers have access to paid family leave, and those benefits are concentrated among the highest-income workers. You know, it was actually a little better before people knew what was going on. I remember I was a young law partner when I was pregnant and that was a long time ago and my partners just didn’t want to talk about it. I’d walk down the hall, getting bigger and bigger, they’d turn their heads (laughter), and Chelsea came early. You know, I kept raising the idea of well what kind of time off do I get? Well it never happened before, so nobody was talking about it. So Chelsea comes early, I have her late one night, next morning, early morning, my phone rings and its our managing partner. He doesn’t say congratulations. He doesn’t say hope you and the baby are fine, he says when are you coming back to work? I said, well I don’t know and just out of the air I said I don’t know, maybe four months. Well he had no idea, because he had never talked about it with anybody before. I said, you know, I can probably, you know, pick up some work and do some things in a couple months, but lets say 4 months. That was the beginning of our paid leave policy. (Cheers). But then I was discouraged to read a recent survey that despite the progress in some industries, companies on the whole are actually offering less paid time off then they were a decade ago. And for too many companies that do offer family leave, it doesn’t apply to fathers or LGBT couples or adoptive parents, and thats kind of strange for people in California because you’ve had more than a decade of evidence that offering paid family leave doesn’t hurt business; in fact, it helps companies compete for top talent and to retain employees. The benefits outweigh the costs. So why is it that companies still aren’t doing all they can to support working parents? 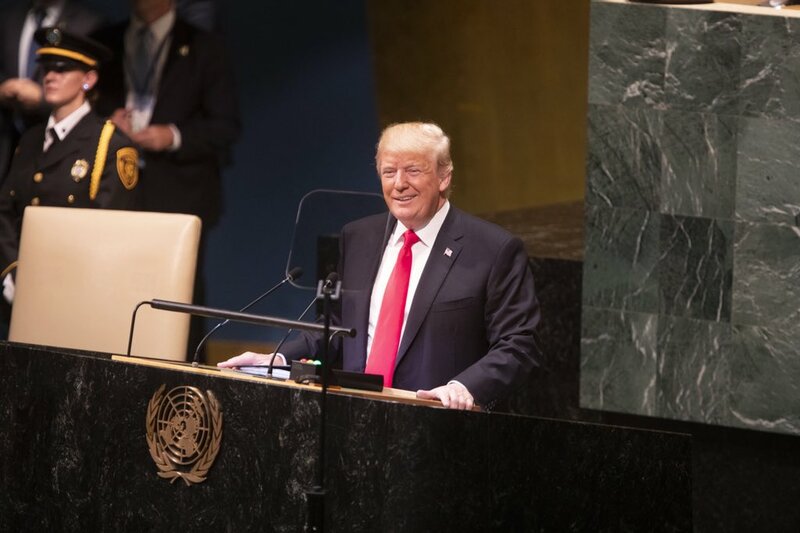 As a candidate for President, I put out a comprehensive plan, I don’t expect you to remember that, in fact there was a recent study showing none of my plans were really publicized or talked about, so that gives me something for speeches for at least a decade. (Applause). Obviously the outcome of the election wasn’t the one I hoped for, worked for, but I will never stop speaking out for common sense benefits that allow mom and dads to stay on the job. After all, I think its fair to say no good idea has ever become a reality overnight. As our friends in startups know, it takes time and hard work. 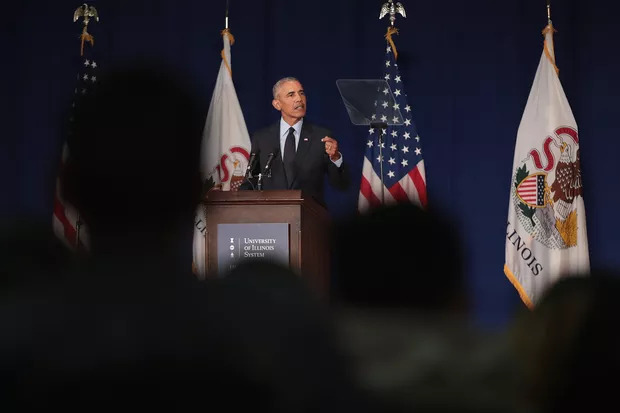 And I’m heartened by the fact that even as we struggle at the federal level, cities and states across the country are looking to California and a few other places to pass paid family leave. There are a growing number of businesses in the country that are leading by examples. Companies from Salesforce to Gap are making real commitments to their employees by guaranteeing equal pay and paid family leave, respectively. And we’re seeing exciting initiatives across industries like the EDGE certification program, which was designed to help companies measure and hold themselves accountable for creating a more equal workplace. Google it, EDGE, and see what you can do to advocate for it within your own company. The private sector can and must be an engine of change on these issues, especially in a place like Silicon Valley. Because when you’re on the cutting edge of how people work and learn you have both an opportunity and an obligation to institute workplace policies that help employees meet their responsibilities at home and on the job. And then leaders in other industries will take notice and try to match what you do. After all, you’re the people who figured out how to put computers in the palms of our hands and you have the tools and the creativity to take on big problems like implicit bias and make the case for those in elected office to follow suit. Now, we saw that in real time the day after the inauguration when millions of women and men from all walks of life marched for women’s equality, visibility and inclusion. It was the biggest march in our country’s history and I delighted at every sign I saw quoting my 1995 speech that human rights are women’s rights and women’s rights are human rights once and for all. But let me let you in on a little secret. The other side never quits. Sooner or later, they’ll try again. We will need to fight back twice as hard, not for the sake of politics but because these are bad policies that will hurt people and take our country in the wrong direction. You know, there’s a little mantra I’ve been repeating to myself lately, a little silly, the kind of thing that pops into your heads when you take a lot of long walks in the woods. But as I think about the outpouring of activism we’re seeing, despite all the noise and the nonsense, four words keep coming back to me: resist, insist, persist, enlist. We need to resist actions that go against our values as Americans, whether that’s attacking immigrants and refugees, denying climate change or passing bogus laws that make it harder for people to vote in elections. We need to resist bias and bullying, we need to resist hate and fear. And we need to insist on putting people first, including by working together to make healthcare more affordable, to build on what works, to create better and more upwardly mobile education and employment ladders. To insist that we can do better. That’s who we are. We’re always pushing towards that more perfect union. And then we need to persist, as we saw so dramatically in the Senate when Mitch McConnell went after Senator Elizabeth Warren and said, nevertheless she persisted, in being told she could not read a letter from Coretta Scott King. So we need to persist to approach future challenges with the passion we’ve seen these last few months and then bring that to the voting booth in 2018. To tell yourself, to tell your friends and your colleagues, no matter how you vote, show up and vote for goodness sake. Be there. Make sure your voice and your vote count. And we need to enlist, enlist in this effort, get in the arena. Now that can mean many things. Running for office, which I hope some of you will actively consider. Starting and running a business, which many of you have done and are doing. But a business that takes care of its employees. Mentoring and championing other women and girls, giving time to volunteer outside of work. Standing up and speaking out. There’s not just one way to do this, there are so many – there’s something for everybody here to become involved in. So sure, the last few months haven’t been exactly what I envisioned, although I do know what I’m still fighting for. I’m fighting for a fairer, big hearted, inclusive America. The unfinished business of the 21st century can’t wait any longer. Now is the time to demand the progress we want to see and to work together to make it real in our own lives, in our businesses, in our government, in our families, our country and the world. And I’ll be right there with you every step of the way. Thank you all very much. A war of words has erupted between former Alaska Gov. Sarah Palin and the senator she might take on next year: Democrat Mark Begich. In a video released Wednesday by Sarah Palin’s political action committee, SarahPAC, she revved up conservatives and Tea Party Republicans for 2014 with snippets of her Conservative Political Action Conference speech from earlier this month as well as media coverage praising the speech and her string of successful past endorsements. President Obama welcomed a special guest to the White House on Wednesday, shooting survivor and former U.S. Rep.Gabrielle Giffords. Giffords and husband Mark Kelly visited just a few hours after testifying in a Senate hearing on legislation to address gun violence. Okay. Thank you for inviting me. This is an important conversation for our children, for our communities, for Democrats and Republicans. Speaking is difficult but I need to say something important. Violence is a big problem. Too many children are dying. Too many children. We must do something. It will be hard, but the time is now. You must act. Be bold, be courageous. Americans are counting on you. Thank you. Democrat Ron Barber, former aide to Gabrielle Giffords, was declared the winner today of a tight congressional race in Southern Arizona. Saturday morning, Barber’s opponent, Republican Martha McSally, called him and conceded the race. An estimated 51.4 million people tuned in to watch the sole debate between sitting Democratic V.P Joe Biden and Republican V.P. hopeful Congressman Paul Ryan on Thursday, October 11. The debate, hosted by Centre College in Kentucky and moderated by ABC News correspondent Martha Raddatz, was carried across 12 networks. While coverage varied by network, 10 networks aired live coverage from approximately 9:00PM to 10:30PM while Univision and Telemundo aired coverage on tape delay. The chart below highlights the sum of the average audience for these networks. In 2008, the Vice Presidential debate between then Sen. Joe Biden and former Alaska Gov. Sarah Palin drew over 18 million more viewers than last night’s debate. 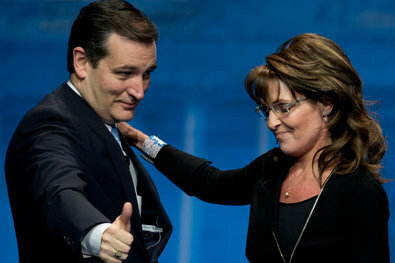 The 2008 Biden-Palin debate notwithstanding, last night’s political tête-à-tête had the highest V.P. debate viewership since the George H.W. Bush-Geraldine Ferarro debate in 1984. That debate nabbed 56.7 million viewers. Former Giffords Aide Ron Barber Wins Arizona Special Election: Ron Barber, the former district director for Gabrielle Giffords, has won the special election for his old bosses’ seat. Ron Barber wins Arizona special election: Ron Barber gave Democrats a much-needed boost Tuesday by winning an Arizona special election that came just one week after the party suffered a demoralizing loss in Wisconsin. In a House contest to finish the term of former Rep. Gabrielle Giffords, Barber defeated Republican to win a southern Arizona-based seat that has been vacant since Giffords announced her resignation in January to focus on her recovery following a January 2011 assassination attempt. Arizona Voters Pick Former Aide to Fill Giffords’ Seat: Democrat Ron Barber, an aide to former US Representative Gabrielle Giffords, won a special election to fill the remaining term of the congresswoman who resigned after being shot in the head … BusinessWeek, 6-13-12What to Draw from Gabby Giffords Special Election: Voters in southeastern Arizona are at the polls Tuesday in a special election to fill the seat vacated by Gabby Giffords’ retirement. The Democratic nominee, Ron Barber, has a very personal connection to Giffords. Not only is he Giffords’ former district director, but he was also shot in the leg and cheek in the assassination attempt on Giffords in January 2011. Tea Party supporter and former Marine Jesse Kelly is the Republican nominee. Kelly narrowly lost his 2010 race against Giffords by 4,000 votes. Gabrielle Giffords’ House seat: Final scramble underway: Democrat Ron Barber and Republican Jesse Kelly made a last-ditch plea for votes ahead of Tuesday’s special election to succeed former Rep. Gabrielle Giffords, as an independent poll showed Barber poised to win. AP — NBC’s ‘Today’ show is bringing former Alaska governor Sarah Palin (l.) on board as a co-host Tuesday morning, pitting her against Katie Couric on ABC’s ‘Good Morning America’. Nearly four years after they clashed in a memorable TV interview, Sarah Palin and Katie Couric face off again — this time in a morning-show battle royale.Viewers will cast their votes with their clickers Tuesday. If you’re a Couric fan who misses those bygone mornings on the “Today” show, then click to “Good Morning America,” where Couric, now an ABC star, is subbing all week for co-host Robin Roberts. Sarah Palin a news show ‘co-host’? Rivalry with Katie Couric casts her as one. As Sarah Palin prepares to go head-to-head with Katie Couric in guest appearances on the NBC and ABC morning news shows Tuesday, a few words are raising eyebrows among news watchers, namely the moniker “co-host” for Ms. Palin. As a ratings ploy, the gambit has already succeeded, garnering buzz about whether the twin appearances will evoke memories of the infamous Couric/Palin interview on CBS during the 2008 presidential campaign, which many saw as the key turning point in which the McCain/Palin ticket began to slide. But does this move to slot an openly partisan political figure in the host seat cross some sort of important line for a morning show produced by the network news division? “A host has the opportunity to steer the conversation,” Ed Arke, associate professor of communications at Messiah College in Grantham, Pa., says via e-mail. While it’s not quite Ali vs. Frazier, Tuesday’s faceoff between Katie Couric and Sarah Palin on opposing morning shows has some viewers wishing for a war of words. Here’s a look at how the pair measures up. Couric: Her 15-year run as queen of the morning on the “Today” show. Sarah Palin: Her electrifying speech at the 2008 Republican National Convention marking the national debut of a political powerhouse. “Still think she’s fit for office?” says senior campaign strategist Steve Schmidt (Woody Harrelson) to campaign manager Rick Davis (Peter MacNicol). Sarah Palin comes unhinged as star rises in ‘Game Change’: There is one thing the new HBO movie “Game Change” won’t alter after it airs on television in one week: Sarah Palin still will be loved by many Republican conservatives and loathed by liberal Democrats. In the controversial new TV movie that aims at a behind-the-scenes portrait of the former U.S. vice presidential candidate, Julianne Moore portrays Sarah Palin as a devoted Republican who lacks basic knowledge of world affairs and careens out of control. 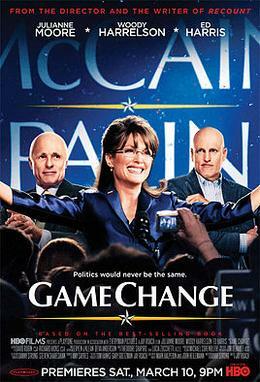 ‘Game Change’ Screenwriter Responds To Charges That Film Borrowed From Palin Biography: After concluding her debate with now-Vice President Joe Biden in the upcoming HBO movie “Game Change,” Sarah Palin tells John McCain’s campaign manager Steve Schmidt why McCain needs to definitely win the 2008 presidential election. 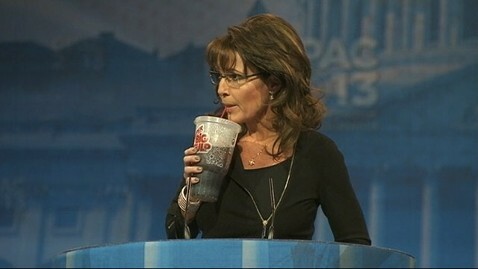 “I so don’t want to go back to Alaska,” Palin says. As a warts-and-all portrayal of the 2008 campaign of GOP presidential candidate John McCain and his vice presidential running mate, Sarah Palin, this HBO film (premiering Saturday at 9 p.m. EST) has raised suspicions, and hackles, among Palin loyalists. Surely its mission is to trash her, they contend. Palin calls movie fiction Film portrays 2008 campaign: The hotly anticipated HBO movie Game Change airs this weekend just as former vice-presidential candidate Sarah Palin has audaciously reinserted herself into the American political scene, suggesting on so-called Super Tuesday she’d step in to save the Republican party if necessary. Palin has been complaining bitterly for weeks about the film, which airs Saturday and is based on the best-selling memoir of the same name about the 2008 presidential campaign. She’s demanded HBO add a fiction disclaimer to the movie that portrays her as ill-informed, inept and possibly mentally unstable; the cable giant has refused. Her political action committee recently released its own two-minute video, a mock movie trailer entitled Game Change We Can Believe In. Dressing the Part: Julianne Moore as Sarah Palin in ‘Game Change’: The HBO movie “Game Change” has come under fire by Sarah Palin and her supporters for its characterization of her as a vice presidential candidate who was obstinate, out of her depth and even delusional. One aspect of the portrait that hasn’t been attacked: its costuming. This bill gives our nation’s law enforcement expanded authority to combat illicit drug trafficking on our Northern and Southern Borders and being able to sign it next to my friend Gabby Giffords gives me enormous pride. She has spent her career fighting for the safety of the people of Arizona and the fact that it passed unanimously shows just how much Gabby is respected by her colleagues in Congress in both parties. Her dedication to fairness and to this country has been an inspiration to so many, including myself. I wished Gabby well in her recovery and told her that I expect to see more of her in the months and years to come. I’m confident that while this legislation may have been her last act as a Congresswoman, it will not be her last act of public service.